Varies from 0.4 to 12+ Mpx. The most common resolutions in Russia include 1.3, 2 and 4 Mpx. There is a trend to install higher resolution cameras regardless of tasks to be carried out. 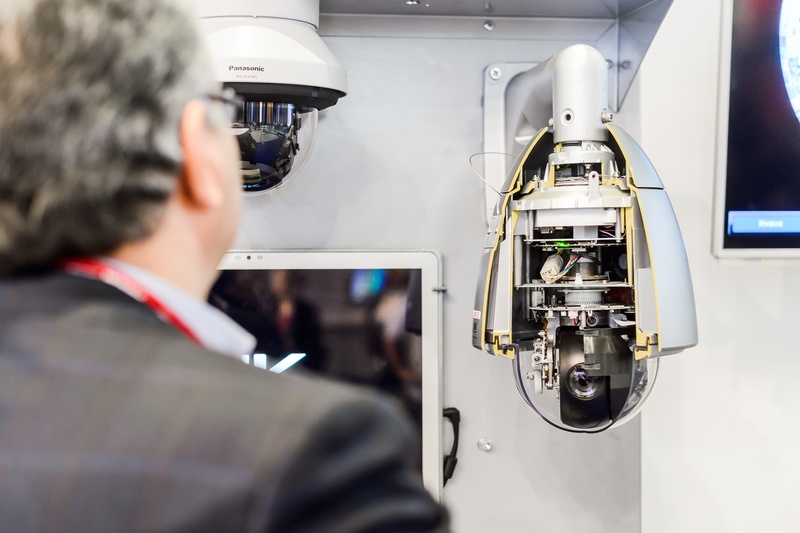 2 Mpx cameras are replacing 1 Mpx devices; 4 Mpx cameras are replacing 3 Mpx models. One of the camera features that are hard to specify. In fact, sensitivity has recently been improved for high resolution cameras, and the industry should expect further advances to come. The local market has to offer 5–6 Mpx cameras with excellent low light sensitivity down to 0.01 lux, and 2–4 Mpx cameras with 0.005 lux sensitivity. Hardware-based WDR delivers much better images with much better contrast. While software-based WDR is more typical for HD cameras. Still, it is hardware-based WDR that is becoming a default setting on cameras. Gets smarter and gains user trust. Among most demanded functions are motion, line crossing, fire and smoke, and camera tampering detection. In the past two years, it is face detection and recognition that came into wide acceptance. In 2016, vehicle plate number recognition and people counting have moved to a new level of accuracy and contribution to business. Currently in high demand which is proved by a dramatic increase in the number of local VSaaS offerings. 5 years ago Russian customers were choosing between 3–4 local VSaaS and 3–4 cloud-based cameras. Today, they have over 50 cloud services to choose from and over 30 camera brands to connect to the cloud. Breakthrough advances in camera technologies will be showcased at All-over-IP Expo 2016 by AltCam Technology, Basler AG, Camera Lab, Dahua, Fujinon - Fujifilm, Hikvision, Intelcom Line, IPDROM, AxxonSoft, Macroscop, MICRODIGITAL, Milestone Systems, MOBOTIX AG, Panasonic, RVi Group, Sony, TRASSIR, VARIFO, VIDEOTEC, AAM Systems, IPMatika, Amicom, ARMO-Systems, BEWARD, BIC-Inform, STA Group, TB Project, MKOI, NPP FOTON, ONCOM, SMARTEC SECURITY, EVS and others. Smart City, Smart Building / Storage, Networks, Cloud Conference.